NBC has revealed the first teaser trailer for their upcoming series Taken, a prequel to the film series that starred Liam Neeson. Check out NBC’s Taken in the player below. From Executive Producer Luc Besson (The Professional, The Fifth Element) comes a thrilling new addition to his iconic blockbuster action-film franchise. This new, modern-day, edge-of-your-seat thriller follows the origin story of younger, hungrier, former Green Beret Bryan Mills (Clive Standen of Vikings) as he deals with a personal tragedy that shakes his world. As he fights to overcome the incident and exact revenge, Mills is pulled into a career as a deadly CIA operative, a job that awakens his very particular, and very dangerous, set of skills. The cast also includes Jennifer Beals, Brooklyn Sudano, Monique Gabriela Curnen, Gaius Charles, Michael Irby, James Landry Hébert and Jose Pablo Cantillo. Alexander Cary (Homeland, Lie to Me) serves as writer and executive producer. Luc Besson, Matthew Gross, Edouard de Vésinne, Thomas Anargyros and Director Alex Graves also executive produce. 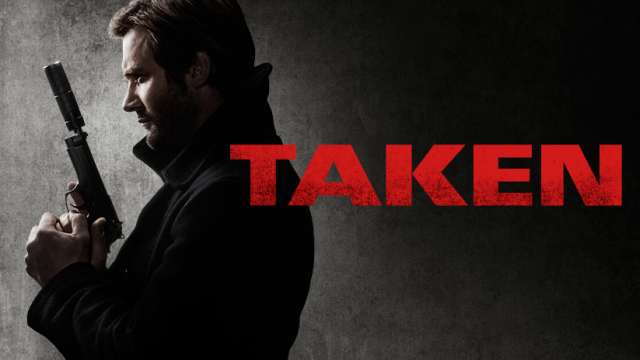 Taken is produced by EuropaCorp TV and Universal Television and will premiere Monday, February 27 at 10/9c on NBC. Released in 2009, the first Taken was directed by Pierre Morel and opened to an impressive $226 million worldwide. Two more sequels, directed by Olivier Megaton, were released in 2012 and 2014 bringing the series gross to over $929 million worldwide.